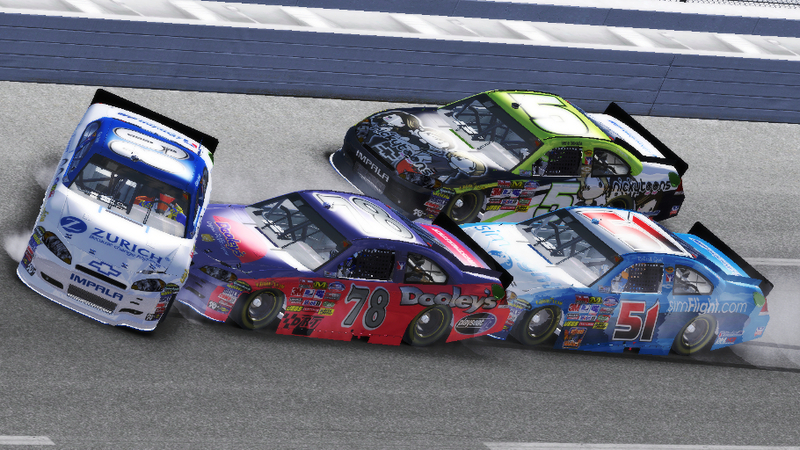 As his first season in the online iRacing DOM-GNL (German Nascar League) draws to a close, this week we have two race reports from Robert Graf. With only two races remaining, has he been able to continue his impressive performance from the previous few rounds? 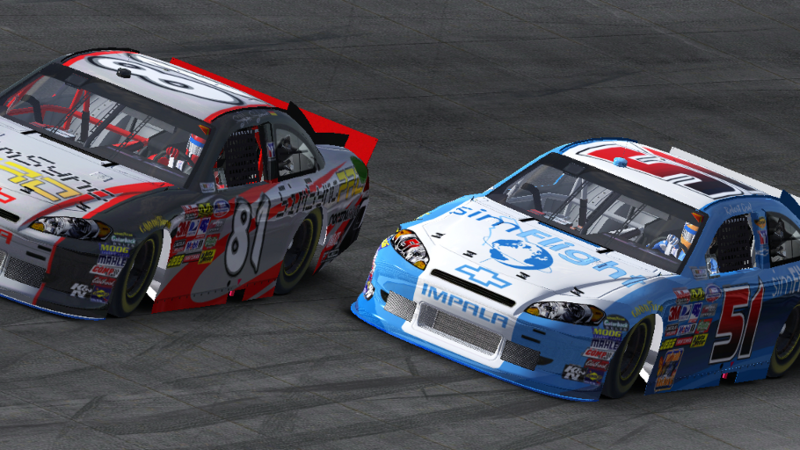 With 4 races remaining in the season, we catch up again with Robert Graf to find out how he and his simFlight Cheverolet Impala are getting on in this year’s iRacing DOM-GNL (virtual German Nascar League). 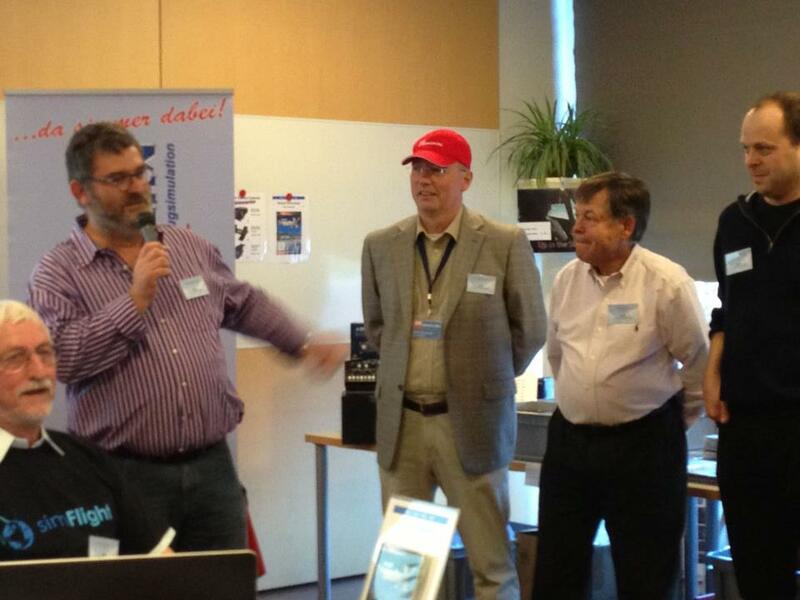 The winners of this year’s simFlight Awards in co-operation with FS Magazin are to be announced tomorrow afternoon as part of the Flightsim Weekend 2012 being held at Hergiswill in Switzerland. Details of the 2012 nominees can be found here while further information about the weekend can be found on its website. With an updated build of iRacing and a new graphics card, Robert Graf takes on the simulated Texas Motor Speedway in round 31 of the iRacing DOM (German Nascar League). With only five races left in the series, we find out how this new setup seems to be suiting him. Click “Read more” for Robert’s full report of the race. 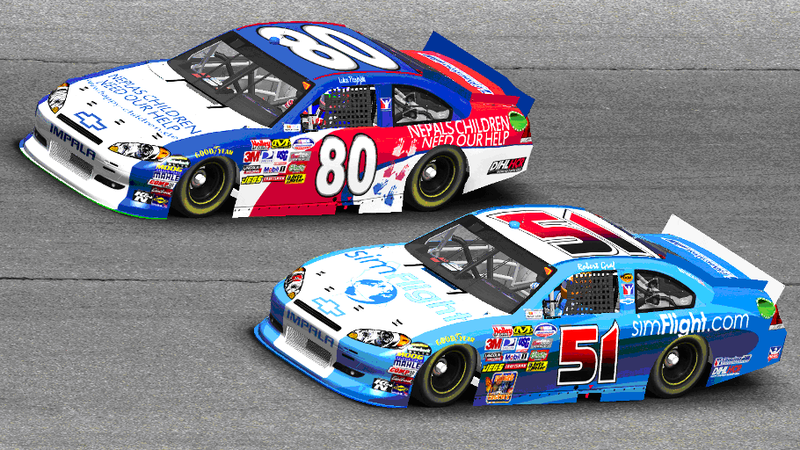 Robert Graf’s simFlight liveried #51 Chevrolet Impala in the iRacing DOM (German NASCAR League) is well into the ‘repeat loop’ of tracks now as the season gets ever closer to the finale. It’s been a far from smooth rookie full season for Robert, but he’s still putting in the finishes and adding up the points. Want to see how he got on at Charlotte? Click “Read More” to see his race report. It’s that time of year again. 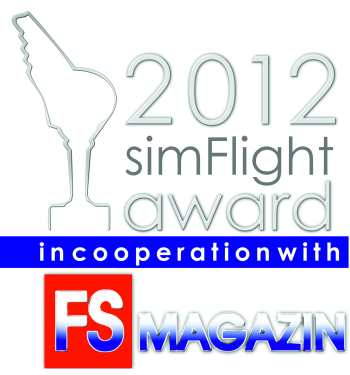 The nominees have been announced for the 2012 simFlight Awards in association with FSMagazin. The awards results ceremony will take place on Saturday afternoon at the Flightsim Weekend 2012 at Hergiswill in Switzerland, which is on 17th-18th November, with the winners selected from the nominees listed on this page, including entries from A2A Simulations, Aerosoft, PMDG, JRollon, the X-Plane team and Thomas Ruth. 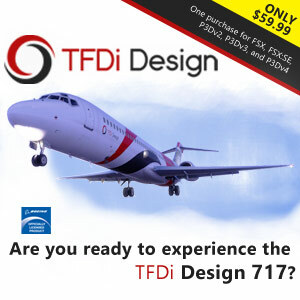 More information on the Flightsim Weekend itself can be found via its homepage, while previous nominees and winners of the simFlight awards can be found here. 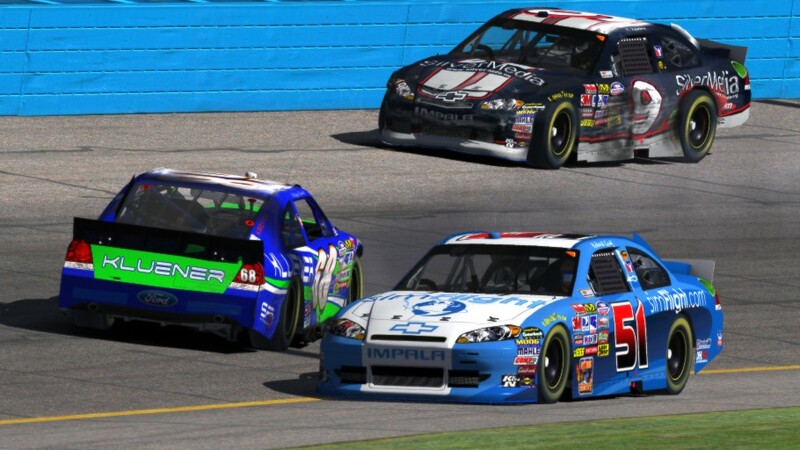 As the title says, round 29 of the iRacing DOM (German NASCAR League) returns the drivers to the virtual Talladega oval in a digitised version of Alabama. With 8 races remaining in the 36-race series, we’re approaching 3/4 of the way through Robert Graf’s first full season in the series and he’s still pushing for points to add to his tally. It only takes one little problem (see above) to spell the end of a run though… or does it? Click “Read More” to see Robert’s race report. Robert Graf is approaching the end of his first full season in the iRacing DOM series (German NASCAR League) of simulated oval racing and he’s reached the speedway at Dover with this report – now back in sequence again after the technical snags that held up our previous posting. As he opens his report, Dover is fun – with the right setup… Click “Read More” below for Robert’s full race report. Our last posted report from Robert Graf mentioned that there had been a technical problem with round #24 at Atlanta, which hadn’t been resolved. We’re pleased to be able to say that it now has – or more correctly Robert has re-sent the report. 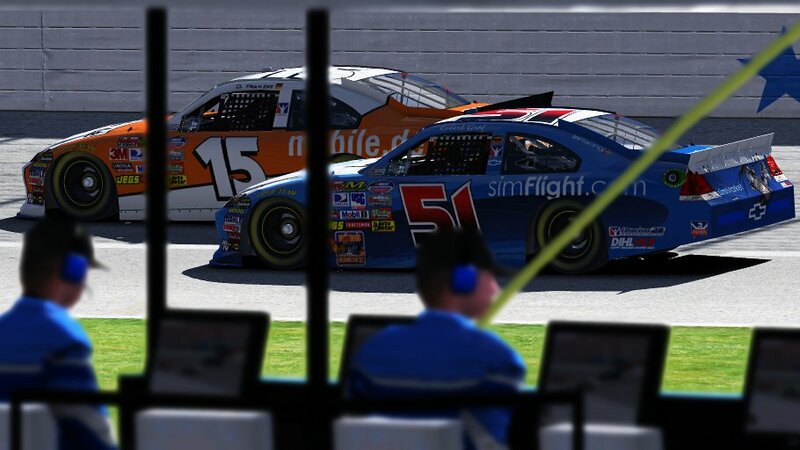 Therefore, we apologise for this one being rather out of synch with the season as it happens, but please click “Read more” to see Robert’s report from round #24 of the iRacing Deutsche Online Meisterschaft (German NASCAR League) at the virtual representation of Atlanta, Georgia.